Dell Poweredge R710 2U Server. 1x 2tb SAS Drive/Tray. 4x Onboard Gigabit Ethernet. 2 X Six Core 2.66GHz X5650 Processors Installed. 2 x Six Core 2.66GHz X5650 Processors. Dell Poweredge R410. SAS Hard Drive, Dual Power, iDrac Enterprise, loaded! Includes a USB Key thumb drive tested and booting to an OS (CENTOS) to make extra sure your server is good in working order. Credit Cards. Bezel / Rails. Includes 2 X 500GB SAS DRIVES. One of the bottom feet is loose. Dual Power Supplies. This Dell PowerEdge Dell PowerEdge R820 8-Bay 2U Rackmountable Server is in good, clean condition. The server may have scratches due to palletizing and racking. Model Dell PowerEdge Dell PowerEdge R820 8-Bay. HP Proliant DL380 G7 2U Server. 2x 750W power supplies. 8x 146gb 10k 2.5" SAS Drives. 64GB (16x 4GB) PC3-10600R. Exactly as pictured. 2 X Six Core 2.40GHz E5645 Processors Installed. 2 x Six Core 2.40GHz E5645 Processors. Dell Poweredge R510. Model HP HP Server Proliant DL380 G7 - 8 SFF Bays. Hard Drives 0 no hard drives, caddies, blanks included. Rails No Available as add-on item. Perform full diagnostics test verifying server and its components in full working order. 2x 870w Power Supplies. Specifications3.06ghz 12mb Cache 6.4 GT/s Hex Core (X5675). Dell Poweredge R710 2U Server. 2x 3.5" Trays/Screws. Credit Cards. NOT Included. IDrac Enterprise. Poweredge M910 Blade. Credit Cards. You are buying a Dell PowerEdge R710 server. It has been tested and boots into BIOS with no errors. 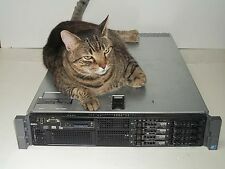 Note: More than one server is for sale and you may NOT receive the exact one pictured. A 3.5" hard drive filler, 5x 3.5" hard drive caddy/screws, front faceplate, and 2 power cables are included.NOT included are a monitor, keyboard, mouse, ethernet cable(s), video cable(s), video adapter(s), an installed OS, and OEM software. Dell PowerEdge R610. Dell PowerEdge R720. Dell PowerEdge R620. Dell PowerEdge R420. Dell PowerEdge R710. Dell PowerEdge R410. Processors 2 x 2.66Ghz X5650 Xeon Six Core. Processor 2 x 2.66Ghz X5650 Xeon Six Core. Dell Poweredge R720XD. 2 X Eight Core 2.70GHz E5-2680 Processors Installed. 2 x Eight Core 2.70GHz E5-2680 Processors. 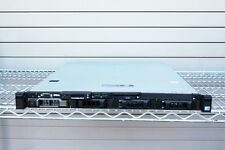 This Dell PowerEdge Dell PowerEdge R820 2U Rackmountable Server is in good, clean condition. The server may have scratches due to palletizing and racking. Model Dell PowerEdge Dell PowerEdge R820. This server has the following specifications. This XServe is in good condition. There are scratches and light dents in the case as is normal for a server. Picture shown is of one of the units, but may not be the exact one you receive. The condition is similar to the one pictured. Dell Poweredge R620 10 Bay (2.5"). 2x 750W power supplies. 2x Heatsinks. NOT INCLUDED. No Drive/Trays/Blanks Included. Model HP HP ProLiant DL380p G8 - 12 LFF (3.5") Bays. Rails yes/No DL380 G8 HP 2U SFF G8 Rail Kit. Hard Drives 0 (QTY 12) HP G8 G9 3.5" HDD Blank Filler. Optical Drive no unavailable in 12x 3.5" hard drive model. Dell Poweredge R820. 2 x 146GB SAS 2.5IN HARD DRIVES. 2 x 146GB SAS 2.5IN Hard Drives. Supermicro 815-5 1U Server 2x AMD Opteron 16-Core CPU's. Includes 2x AMD Opteron 6378 16-Core, Total of 32 Cores! Supports up to two16/12/8/4-Core ready AMD Opteron™ 6000 Series processors. A Server 1022G-NTF (Black ). 5 out of 5 stars - Supermicro 815-5 1U Server 2x AMD Opteron 16-Core CPU's 32 Cores Total! 1 product rating1 product ratings - Supermicro 815-5 1U Server 2x AMD Opteron 16-Core CPU's 32 Cores Total! 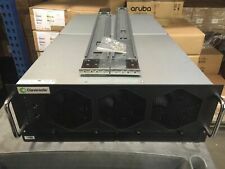 This Dell PowerEdge R820 Rack-Mountable 2U Server is in good, clean condition. The server may have scratches due to palletizing and racking. Model Dell PowerEdge R820. This server has the following specifications. Dell Wyse 3040 - DTS - Atom x5 Z8350 1.44 GHz - 2 GB - 8 GB. 1 x Atom x5 Z8350 / 1.44 GHz. Wyse Thin OS. The Wyse 3040 can connect to a variety of virtual desktop brokers right out of the box. Great Dell warranty included through March 24 2021! Dell PowerEdge T110 II, Xeon E31220 @ 3.10GHz, H200 6Gb raid card,16GB RAM (4GB x 4), DVD Rom, No Hard drive or COA. Does have hard drive caddies. This Dell PowerEdge Dell PowerEdge R820 2U Rackmountable Server is in good, clean condition. The server may have scratches due to palletizing and racking. Model Dell PowerEdge Dell PowerEdge R820. Hard Drives 4x Dell R-Series 2.5" SAS 146GB 10K Hard Drive. Dell Poweredge R710 2U Server. Bezel / Rails. iDrac6 (no dedicated NIC). 4x Onboard Gigabit Ethernet. Perc 6i with Battery. 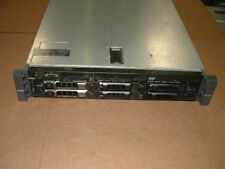 Backplane SAS846EL2. SYSTEM Supermicro 4U chassis 24 Bay with 5 fans and plastic shroud. SUPERMICRO SERVERS. Rail Kit Generic Rails. power module PDB-PT846-8824. selection of Servers. We have a large. 2x 870w Power Supplies. Dell Poweredge R710 2U Server. 2x 3.5" Trays/Screws. Credit Cards. NOT Included. System Type HP ProLiant BL460c Gen9. Network Card HP FlexFabric 10Gb 2-port 536FLB FlexibleLOM. Form Factor Half-Height Server Blade Plugs Into Bladesystem C7000 & C3000 Enclosures. Feature PowerEdge T320 technical specification. HARD DRIVES: 4 600GB 15k SAS Drives. DRAC:iDrac Enterprise. DRIVE BAYS:EIGHT HOTSWAP BAYS 3.5" LFF. • One x16 slot with x16 bandwidth, 3.0, full-length,full-height. Up for sale is a Dell PowerEdge R820 server. This 8x 2.5" Drive Bays chassis also features iDRAC7 Enterprise. Chassis: Dell PowerEdge R820 8x 2.5" Drive Bays. HDD: No HDD's, 8x trays. Remote Access: iDRAC7 Enterprise. 1x Symantec 8360 Dell PowerEdge R610- Refurbished. 2x Power Cords. Useful Links Evedince of tampering, removal or broken seal, will VOID the warranty. PREVIOUSLY OWNED, TESTED FOR KEY FUNCTIONS = Tested for Key Functions, R2/Ready for Resale. 2 X Quad Core 2.40GHz E5620 Processors Installed. 2 x Quad Core 2.40GHz E5620 Processors. LOT OF 2 Dell Poweredge R410.